Hundreds of millions of people use Gmail but only a small subset of them dig deeper into the advanced features that are available in their inbox, such as filters. 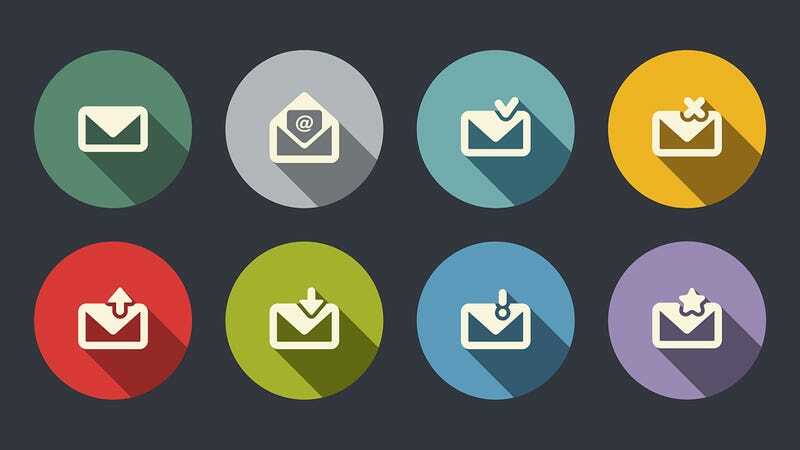 Setting up new rules for incoming can seem like an onerous task that doesn't justify the effort put in, but here are seven filters that are easy to create and which can make a big difference to your email flow. You might not use Google+ for your social networking needs but it can help you sort the wheat from the chaff inside your inbox. Enter is:circle or circle:"name of circle" in the Gmail search box to identify messages from people you've specifically added to your Google+ circles (or one circle in particular). Use the drop-down dialog to create a filter from the search and prioritize these messages by marking them as important. Alternatively, you could set up a particular circle in Google+ for the sole purpose of filtering messages and then apply a particular action to any emails coming from those contacts. If you're using Gmail to consolidate messages from other email accounts then you can easily direct these emails away from your main inbox. In the Gmail search box, enter to:myotheremail@domain.com to pick up messages sent to your secondary address. Open up the drop-down dialog and create a filter from the search, then choose to mark these messages as read as they come in. You can also opt to shift the emails to Gmail's Updates tab and mark them as unimportant as well, depending on the type of emails the account gets. The messages will sit under the Updates tab ready to be reviewed at your leisure. The group email can be the bane of your inbox, depending on how your office, family or soccer club operates. If you use the cc:me OR bcc:me query in the Gmail search field and then use the drop-down dialog to create a filter from it, you can deal with the messages that aren't set directly to you as you see fit. You can move them to the Updates category, mark them as unimportant, mark them as read or consign them straight to the archive without touching the inbox at all. To limit the focus to a specific domain (such as work) use from:*@domain.com (cc:me OR bcc:me) as the search query instead. A clean and empty inbox is often seen as the ultimate goal of our digital age, but it's not actually that difficult to achieve: Just set up a filter that means all of your messages skip your inbox. A less drastic approach is to have some messages skip your inbox rather than all of them. Set up filters that assigns specific emails to specific labels (e.g. social media, newsletters, emails from work colleagues), set them to skip the inbox, but keep them unread. You can then catch up on these labels when you have time to get around to them, but by keeping them unread you won't lose track of where they've gone. Entering unsubscribe in the Gmail search box is a well-known way of identifying messages that are from mailing lists or newsletters, as long as your family and friends aren't prone to using the word in their day-to-day conversations. A more effective method is to use the label:^unsub search, as this uses the hidden smart label that Google automatically assigns to emails you can unsubscribe from (and is less likely to trap messages from your contacts as well). Open up the drop-down dialog box underneath the search field and you can banish these emails from the inbox, star them for reference, or whatever else you like. If you have notifications from Facebook, Twitter and other social sites pouring into your inbox then Gmail automatically filters them into the Social tab. Whether or not you're using the default tabs layout for your inbox, the Social category is applied to these messages. Use the search term category:social friend's name to run a search for posts, tweets and messages from anyone important in your life. If you open up the drop-down dialog beneath the search box, create a filter from the search and choose to apply a star, you won't miss these messages in the flood of incoming social media notifications. You're going to have to tweak this one a little bit so that it fits your exact needs, but there are many situations where it's useful to affix a label to a message that has a particular type of attachment with it. For example, you could use the filter query has:attachment filename:(doc OR docx OR xls OR xlsx) to label all out-of-hours work messages with attached documents or spreadsheets (use the domain filter at the start if you need to); alternatively, you might want to try running has:attachment filename:(jpg OR jpeg OR gif OR png) to flag up all of the photos coming into your Gmail account and give them a relevant label.